Ani Dasgupta, Global Director of the WRI Ross Center for Sustainable Cities, about the fundamental shift in the mobility sector. Ani Dasgupta is the Global Director of WRI Ross Center for Sustainable Cities, which is part of the Washington D.C.-based global think tank “World Resources Institute” (WRI). An architect and city planner by training, he has spent most of his professional career dealing with the future of cities. 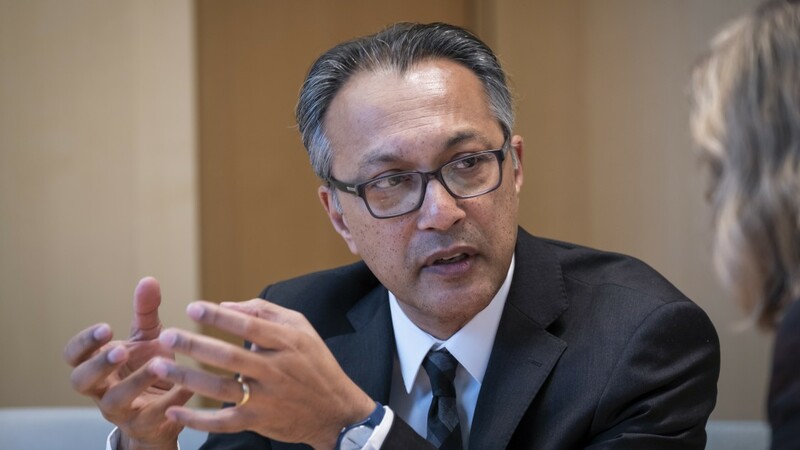 Prior to joining WRI, he served at the World Bank. In this interview, he talks about the fundamental changes the world of mobility is facing and why he feels electrification is the lesser task compared to introducing sharing modes. You use the term “mobility revolution” when you talk about the transformation we are facing – why? In my opinion, a very fundamental shift in mobility is going to take place within the next ten years. It will change how mobility is consumed, produced and managed. Business patterns and business models will change along with it. And a whole new slew of people will get involved. In short: That shift is going to shake things up completely. Therefore I use the term “mobility revolution”. To me, a revolution is something more spontaneous that bursts out like a volcano. But in mobility, the changes need a lot of time and a lot of planning. It definitely needs a lot of planning to achieve the kind of specific public goods we want, like improving access and reducing emissions. Right now, that is not happening for the most part, and that´s the problem. Car-hailing services are not being planned by cities. Private bike-sharing companies are popping up in many parts of the world. Apps are being developed by start-ups. We cannot take for granted that all of these changes will lead to better results for everyone – in fact, we have a lot of evidence that they won’t unless cities provide a guiding hand. Listening to you seems like we are already in the middle of this fundamental change. But are we really? I think so. Maybe this is not felt so much in countries and cities that already have fantastic possibilities to walk and bike and use public transport. But that`s a very small percentage of cities around the world. In other parts of the globe, the picture is quite different. Cities will grow very much in the next 20 years and suffer from endless congestion and terrible air quality. So, the pressure for change is building up. What are the most important elements of that mobility change? To me, it is digitalization, electrification, sharing and ultimately autonomous driving. So, there are actually several transformations taking place. Digitalization is already happening. That alters the choices we take in mobility because we will get better data and different kind of data. We will know, for example, how crowded the next bus is. Plus, there will be many new services. And thirdly, digitalization allows cities to be better managed. All that will accelerate more and more. Where are we in terms of electrification of mobility? And where should we be heading for? I have no doubt that electrification is going to happen, not least because of the air quality in growing cities. People actually don´t care if their car runs on gasoline or on electricity, as long as it works. The technology exists; it just has to become cheaper and faster. That will come. It all may not happen as fast as we would like but it will come. Also in poorer countries that are not even completely electrified? Yes, because many of them have a huge potential for renewable energy. It´s a matter of investment and time but it will happen. The big battle is not electrification; it´s getting used to sharing mobility. That is the real cultural shift and much more difficult to achieve. People are okay to fly for ten, eleven or twelve hours squeezed next to someone they mostly don´t know. But on the ground we feel that we should be alone in our vehicle or at least not with strangers. It is our expectation, our framing; it is how we have grown up – and because of that, it’s quite hard to modify. Therefore, this is what we very consciously have to work and focus on. Urban centers will not be able to fulfill the mobility needs of the future without sharing. And that means, personal cars, regardless of their technology, should be phased out in cities. They are inefficient and they take up too much space. 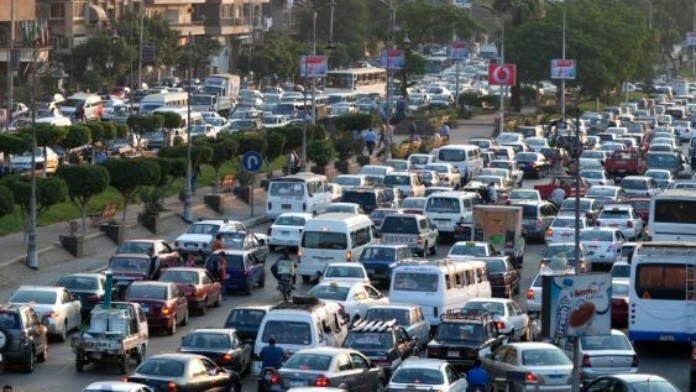 Traffic chaos on Egypt's roads. You want to get rid of cars? Seems quite unreal considering the passion people have for them…. We will continue to have cars. Don´t get me wrong; but not in cities. Think of it more like a horse that you keep in the countryside and ride for pleasure. Cars will be necessary in rural areas and for vacation and fun. You use it on weekends to drive to the mountains and what not. But in cities, they are anachronistic, undemocratic, hurt the climate and the environment. We have to move to sharing modes of transportation: A real challenge. How can you get people to make that shift? With sticks and carrots: Sticks would be getting people to pay the fair share of their respective transport mode. When you drive a car, society pays nine dollars for every dollar you spend. So, imagine if you had to pay nine times more than today, if you had to spend 900 instead of 100 dollars a month. Then most people would probably rethink their car use. Of course, that kind of regulation takes a lot of political leadership because car lobbies are very strong. But it is absolutely necessary. What would be possible incentives? A big carrot is to make public transport more comfortable. Taking a car is not just an irrational choice. People think their children are safer, women feel safer. So, improving public transport, making it more attractive and less dangerous is a helpful way forward. What difference will autonomous driving make? Of all the factors molding the future of mobility, this is the least advanced. There are still many barriers for autonomous driving. I think we will see more testing in many places. But that will take a lot longer than digitalization, electrification and sharing. A financial institution like KfW – how could it support this process? By having a clear point of view on the shift and its strategic goals in it. Organizations like KfW have a very important role to play because their funding is precious. They can keep doing individual projects – there is nothing wrong with that – but they can also choose to see the revolution coming and be the leader in shaping it, for instance, by incorporating new solutions and improved public transit into the same system.